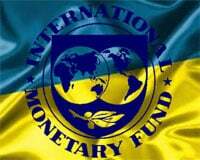 A huge chunk of the $17 billion in bailout money the IMF granted to Ukraine in April 2014 has been discovered in a bank account in Cyprus controlled by exiled Ukrainian oligarch Ihor Kolomoyskyi, the German newspaper Deutsche Wirtshafts Nachrichten [DWN] reported on Thursday.In April last year $3.2 billion was immediately disbursed to Ukraine, and over the following five months, another $4.5 billion was disbursed to the Ukrainian Central Bank in order to stabilize the country’s financial system. Theoretically, the IMF should retain direct control over the distribution of funds. In fact, it seems that the banks chose their own auditors. These Ukrainian companies ordered investment products from six foreign suppliers based in the UK, the Virgin Islands and the Caribbean, and then transferred money to a branch of PrivatBank in Cyprus, ostensibly to pay for the products.The products were then used as collateral for the loans taken out from PrivatBank – however, the overseas suppliers never delivered the goods, and the 42 companies took legal action in court in Dnipropetrovsk, demanding reimbursement for payments made for the goods, and the termination of the loans from Privatbank.